More and more consumers want transparency and traceability on fashion brand suppliers . TOSCO, one of the major yarns and fabrics supplier in Japan built a three part partnership together with TEX NORD, the 100% subsidiary of TERRE DE LIN, and YIXING SUNSHINE, one of the major linen spinning mills in China. This 100% traced value chain has been created by the three actors with a view to bringing full transparency to brands on their linen supply chain, starting from the raw material procurement to the linen yarns and fabrics. Besides, the three partners are fully committed to quality and reliability towards customers. Since the year 1918, TOSCO has been developing its know how to produce worsted dry spinning (linen) yarns and fabrics. With passion and quality commitment, TOSCO’s policy has been to develop a strong relationship with the Chinese spinning mill YIXING SUNSHINE. Both companies have been working together for years to develop their know-how and quality control. 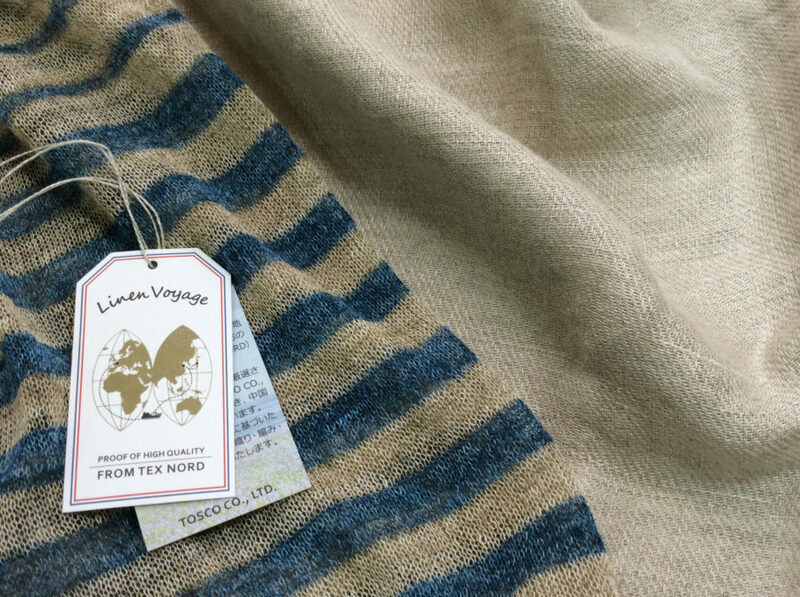 In the same way, YIXING SUNSHINE and TEX NORD have built a close partnership to give quality consistency and regularity to YIXING SUNSHINE’s yarns. Partager la publication "TEX NORD, TOSCO and YIXING SUNSHINE : a full traced partnership from the fibers to the fabrics"
The TERRE DE LIN group extends its European Flax certification to TDL Technique. © 2019 Terre de Lin magazine. All rights reserved. Legal Notices.